I try and plant up at least a few gaps in the hedges each year but this season has been so dominated by tree planting nothing has happened yet and there is only a couple of weeks before the supply of bare rooted plants ends. 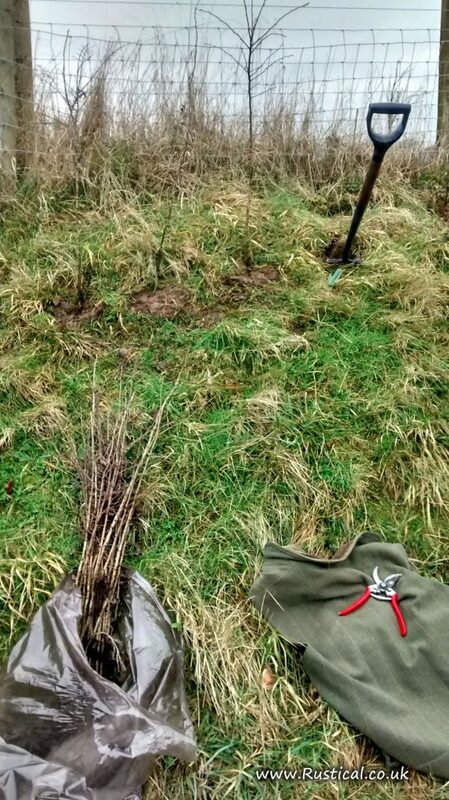 Having seen todays forecast for inclement weather moving in from midday I thought it would be an ideal day to do at least one hedge gap so this morning I called in at JA Jones’ whilst in Banks and picked up 50 60-80cm bare rooted hawthorn plants. They all just got planted in time before the rain started. And it did rain. Outside jobs were definitely off the agenda so the chainsaws got a good service and all the chains got a proper sharpening. Not the wasted day I thought it might be after all.